Sven Mogensen Shipping Consult is a privately owned consulting and shipping brokering firm that was established in 2000 by Mr. Sven Mogensen. 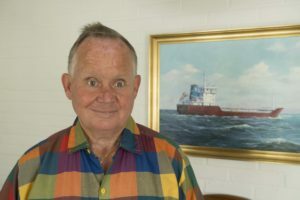 He is CEO and commenced his shipping career in 1969 with the Danish Shipowner, WECO Group. From 1976 until 2000, he was the Commercial Director and part owner of herning shipping a.s. of Denmark. Sven is boardmember at Lysgaard Shipholding A/S. He has close to 50 years of experience with the following segments and always strives to provide a personalized and informed service to clients. In 2017 Mr. Kim Jacob Mogensen joined the company as director and with 18 years of shipping experience.